"Dirty" Potato Chips was founded in Memphis, Tennessee in 1987 and potato chips were supplied to the tri-state area of Tennessee, Mississippi, and Arkansas. Today, if you were to ask, "Where Can I buy Dirty Potato Chips?" Well, those flavorful potato chips are sold in the lower 48 states, Hawaii, Canada and the Caribbean, and can be found at the finest delis, groceries and restaurants for customers who demand nothing less than a great-tasting, high-quality kettle cooked potato chip. Dirty Chips are all-natural, cholesterol-free. There is no MSG, there are no preservatives and no hydrogenated oils. 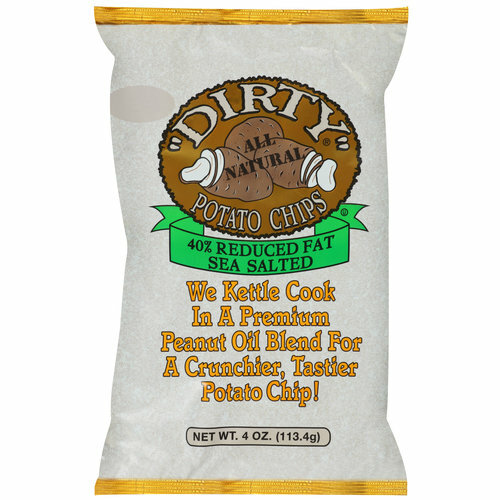 We are not talking about the latest health food craze... We're talking about "Dirty" Potato Chips, naturally! Dirty Chips are delicious but without all the "usual" ingredients that make most chips a favorite - but not-so-healthy snack. Plus our chips are Kosher certified, contain no wheat gluten, and are kettle cooked in a peanut oil blend for that deep, delicious potato chip taste. "Dirty" Potato Chips' original flavors were Sea Salted, Mesquite Barbecue, Sour Cream & Onion, Salt & Vinegar, Jalapeño Heat, and Unsalted. 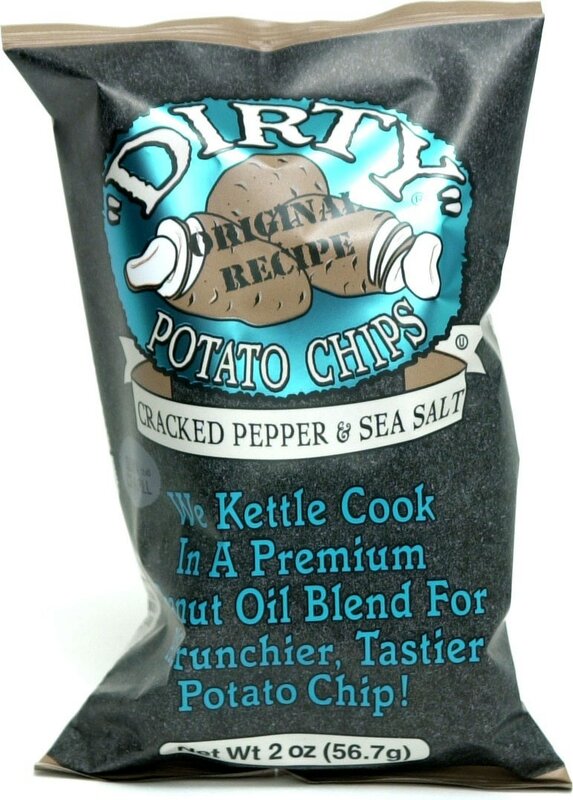 Those originally manufactured potato chips are still in big demand, but to further please the palates of customers, Dirty's Potato Chips flavours now include Cracked Pepper & Sea Salt, Smokey Chipotle, Funky Fusion, and Pesto & Parmesan. And yes...they're still all natural, and of course, great tasting, delivering that delicate taste and crispy crunch in every bag. When asked why are they called "Dirty", the potato chip manufacturer explains, "The name "Dirty" comes from the process we used to prepare our chips. The potato slices are not washed, leaving more of the natural potato flavor... and they are crafted one batch at a time – it's a difference our customers say they can taste in every bite. When it has to be the best, it has to be "Dirty" Potato Chips." Dirty's is part of the Utz family of brands.